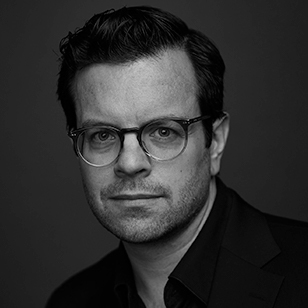 2018 Grand Jury member, Trent Thompson, Vice President Creative Director for BBDO Toronto brings over 16 years of advertising industry experience to the judge’s panel. An award-winning writer and CD, he helps oversee the creative for Rogers, Mercedes-Benz, Esso and Chatr accounts at BBDO. Previously, Trent was Group Account Director at Cossette in Toronto – Strategy Magazine’s 2016 Agency of the Year, where, he helped launch the ground-breaking SickKids VS campaign and oversaw the agency’s 1:1 accounts, including TD Canada Trust, BMW and TELUS. Throughout his career he’s worked at numerous agencies honing his craft including MacLaren MRM, Proximity Canada, and DDB Canada’s CRM and digital arm – TrackDDB (formerly RAPP) where he led the creative department. The biggest problem I have with work I’m seeing now is tech for tech’s sake. Technology without a reason for being is extraneous. It’s a beautiful new restaurant with terrible food. It has to go. What I want to see not so much make a resurgence, but retain its paramount importance in what we do is the Big Idea. Great ideas are what make this business so special. The work based on a human insight and fueled by a brilliant (and simple) idea is more powerful than any AI, AR, VR, or data sorcery. However, when tech is used with purpose and becomes an enabler of a brilliant (and simple) idea, that’s when what we do can be magic. I have similar thoughts to this as I do about programmatic advertising: serves a purpose, but your brand can’t survive on it. In-house departments are all well and good when you need to find efficiencies – especially for always-on programs. They’re great when a brand wants total control of the end product without the checks and balances an agency can and does provide. However, if that’s the sole ingredient in your brand’s creative arsenal, your brand is going to be vastly outgunned – to use a uniquely un-Canadian metaphor. If you want your creative output to compete on a global scale, you need the talent, expertise and specialization of a creative agency. And in-house departments don’t tend to attract top-tier talent. As a wise man once said, “you can’t bring knife to a gun fight”. When presentations go well, it makes all the hours and efforts worth it. But too often, we get caught up in the moment. The client is smiling and nodding and telling us why they like the work. Then we start telling them what else is so great about it. Of course, the longer we spend talking about it, the longer we spend thinking about it. And then the client thinks of a reason not to buy the work. The work gets “unsold”. And it’s our fault. I’ve seen it and I’ve done it. It isn’t pretty. I did and do. His name is Scott Pinkney. Scott focused me in a way other creative directors hadn’t. He saw in me the potential to do great things and he fostered that. He didn’t spoon feed me, by any stretch. He made me earn it. He helped me stay humble. And for that, I’m forever in his debt. Too many creatives today are expecting the juicy briefs without proving that they’re capable of handling them; of producing the kind of work we’re seeing on the circuit. I’ve worked hard in my career. I’ve done the lights-on work and the marquee stuff. And I recognize the incredible value of both sides of that coin. And my work ethic and my realistic outlook are, in no small part, thanks to Scott. Ever since I was a kid, David Bowie has been an inspiration. He was a creative force. Constantly reinventing himself. Constantly trying new things. Never standing still and never satisfied with what he’d done defining what he would do. Even up to the very end, Bowie surprised us. His last album came out of nowhere and his incredible self-awareness is evident in every track. He was writing his eulogy when he created Black Star and that comes across beautifully. His is the kind of story-telling ability I aspire to.